AgNet Media currently owns and operates Citrus Expo. A Florida-based and home-grown agriculture media company, AgNet Media grew from the Southeast AgNet Radio Network, begun in the mid-1980s as the state’s first-ever farm broadcast effort. Founded in 1992, Citrus Expo was organized and managed by the previous owners of Citrus Industry magazine. Southeast AgNet Radio Network purchased the business after four historic hurricanes ravaged Florida agriculture in 2004. Just a few months after the purchase, the citrus tree disease HLB, also known as “citrus greening,” was confirmed in Florida’s commercial citrus groves. In a company-wide restructuring in 2013, AgNet Media, Inc. was created as the new parent company and media brand for the Southeast AgNet Radio Network, AgNet West Radio Network, Citrus Industry magazine and Citrus Expo. In 2016, Vegetable and Specialty Crops News was introduced for deep Southeast growers as the newest AgNet Media property. As a testament to AgNet Media’s global development of its citrus media properties and events in particular, in March 2018, the company organized and managed the first International Citrus Business Conference. The event was co-hosted with Morris Agribusiness Services and was a huge success, attracting more than 300 business professionals from 14 countries to Daytona Beach for a two-day conference. Under AgNet Media’s leadership, Citrus Expo has expanded to become the world’s premier seminar and trade show program for the citrus industry. Like other media and events in this independently operated ag media company, Citrus Expo is self-sustaining, entirely dependent on exhibitor and sponsor sales to remain sustainable. As one of Florida’s largest agriculture seminar and trade show events, Citrus Expo’s primary goals are to provide unequalled continuing education and industry fellowship opportunities annually for growers, industry leaders, decision-makers and vendors. Since 2004, Citrus Expo has donated well over $100,000 in cash and in-kind to regional industry group activities and University of Florida Institute of Food and Agricultural Sciences (UF/IFAS) citrus research and communications efforts. Big changes will be happening at the 27th Citrus Expo on Aug 15–16, 2018. AgNet Media is expanding the event to include a program for vegetable and specialty crop growers. The expanded program will in no way reduce the attention to citrus topics. With the help of exhibitors, sponsors and industry groups, these efforts are expected to grow the event to better serve more growers and enhance the investments of vendors and sponsors alike. In 2018, additional concurrent sessions will address seasonal production issues for vegetable growers and give updates on alternative crops under study. General session seminars will address important timely topics of universal interest to growers, farm planners, personnel managers, agribusiness owners and industry leaders. Program topics in development include labor, the 2018 farm bill, crop insurance, disaster funding updates and more. On both days of the event, attendees are invited to connect at the trade show where a “Kuntry Katered” hot lunch is served. The Citrus Expo seminar program is developed in collaboration with industry leaders, growers, association executives and researchers. 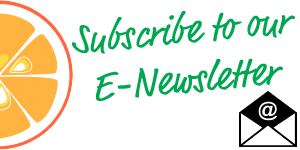 Please let us know if you have any suggestions for the Citrus Expo seminar program! 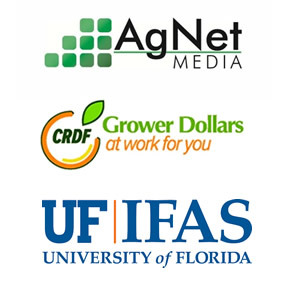 AgNet Media extends special thanks to Michael Rogers and his team at the UF/IFAS Citrus Research and Education Center for their insights and help to assemble a top-notch program for the citrus audience. Kudos also go to Gene McAvoy at the Hendry County Extension Service for his input and organizational help on the vegetable and specialty crops side of the program. The vast majority of Citrus Expo’s 200-plus exhibiting companies and sponsors do business with all of these ag sectors. We welcome the region’s vegetable and specialty crop growers to become part of this major agriculture producer and industry leaders’ event. SPONSOR SUPPORT REMAINS CRITICAL – IT’S NEVER TOO LATE! Citrus Expo remains the only event of its kind. It has offered free attendance to bona fide growers as well as a hot breakfast and lunch both days for the past 14 years to save everybody valuable time during the event. The convenience of hot meals on-site is a key element that helps keep this event successful, but Citrus Expo needs sponsor and industry support to help keep it that way. Exhibiting companies, event sponsors, supporting organizations and commercial vendors paying for attendance are core elements contributing to the success of this event. We sincerely thank these supporters and consider them partners in this event. Sponsor support remains a critical element that cannot be overemphasized or oversold. Growers have proven the need for and their support of the program with their attendance and loyalty. We invite, appreciate and encourage continued industry participation to allow this program to keep serving the growers. 2) Pre-registered growers will find their name badges ready for pickup upon arrival at the show, so there’s no waiting in line to get in.